My puppy is 6 weeks old. 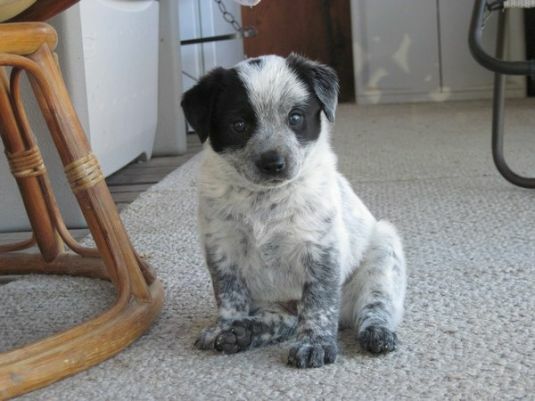 Hes a Queensland Blue Heeler. Hes very sweet and a good boy. He sleeps all night til about 5am and then lets me know he needs to get out of his pet carrier to go pee! i had a puppy just like that one his name is blacky. cute.... more than cute!......no more cute!!!!!! !........no %5000 cute!!!!!!!!! !